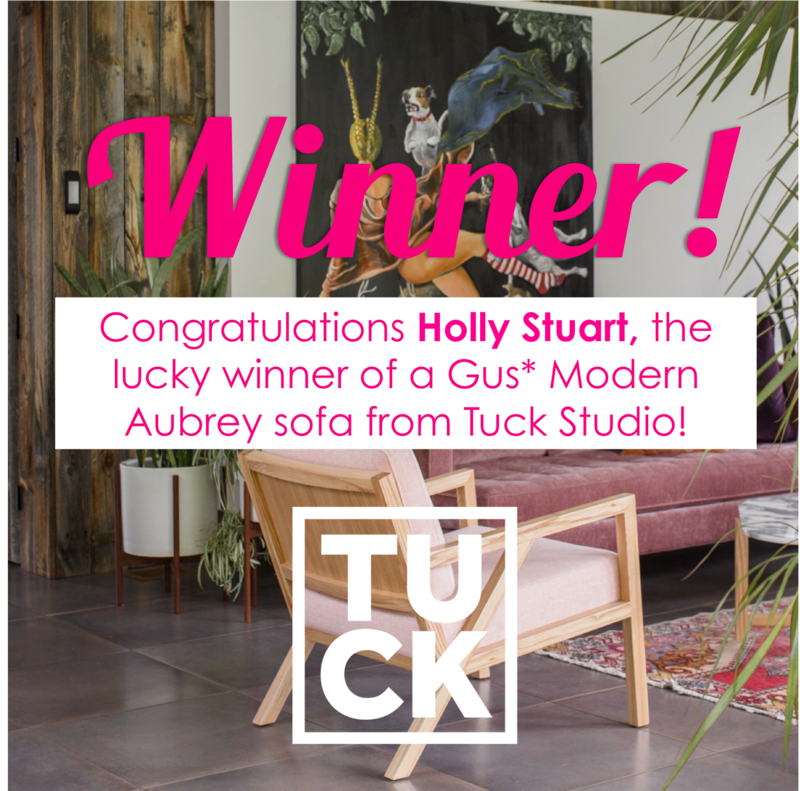 Congratulations Holly Stuart, the lucky winner of a Gus* Modern Aubrey sofa from Tuck Studio in the fabric of her choice! We were able to randomly select a winner by using a number generator to select a day, hour, and minute and then finding the shared post closest to that date & time! Thank you Holly and the thousands who participated in #TuckSofaGiveaway2018 Contest! 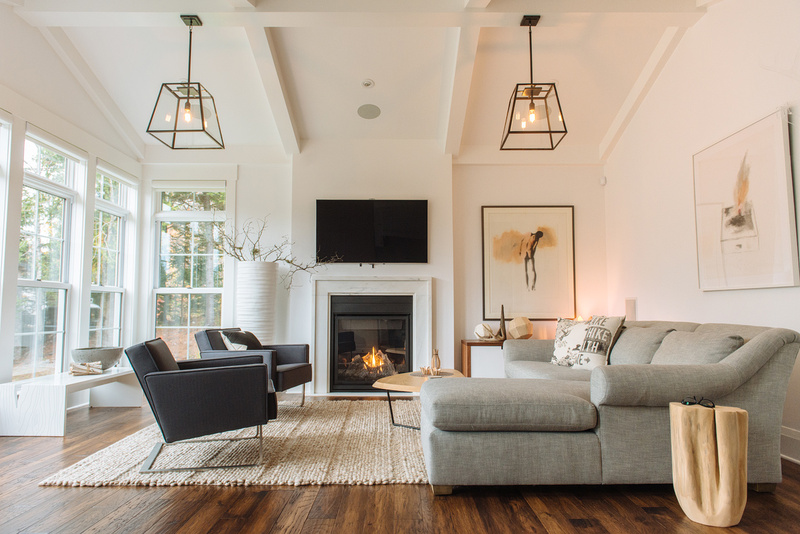 Here’s the post that won Holly a brand new Gus* Sofa in the Fabric of her choice! Did you miss this contest and the post, “In Living Colour: What my staycation taught me about life, decorating, and why I’m giving away a brand new Gus* sofa?” Be sure to sign up for emails at tuckstudio.ca and follow us on Instagram, Facebook, and Twitter to stay up to date on contests, promotions, blog posts, and more from Tuck Studio! We are the exclusive retailer in New Brunswick for all Gus* Modern furniture and we have plenty in store. In addition to the Aubrey Sofa, here are a few popular pieces from Gus*, ready to order at Tuck Studio! The Carmichael Bed fuses traditional and contemporary sensibilities, bringing clean, modern lines to a classic style. The design features a fully upholstered headboard, footboard and side rails, with elegant, tapered solid wood legs. The bed includes a sturdy mattress suspension system which eliminates the need for a box spring. All wood used in the frame and legs is FSC®-Certified, in support of responsible forest management. Available in Queen or King. All of these and more are ready to order at Tuck Studio! View the entire collection here or visit us in store for more information. Thank you!